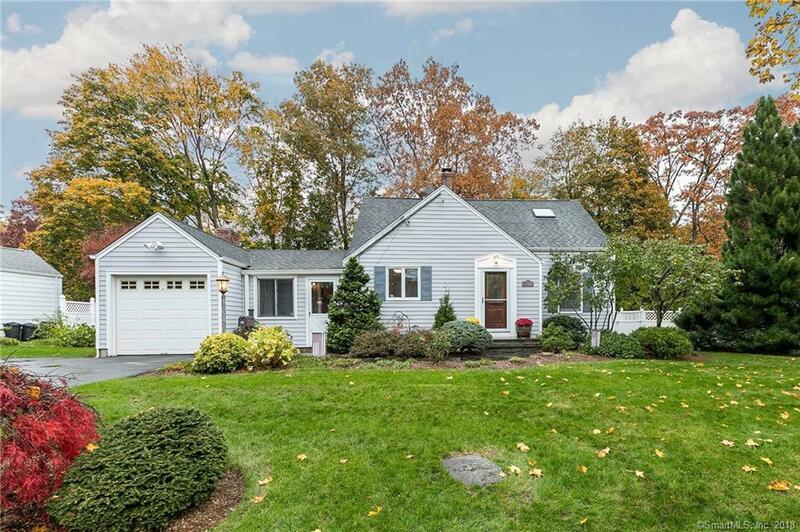 Beautifully maintained Cape style home located in the North end of Stratford with a versatile floor plan. From the moment you enter this beautiful home you will feel that this home is warm and inviting with a charming entrance boasting attractive built ins. This home offers a tasteful kitchen with all newer stainless steel appliances, formal dining room open to a large family room with cathedral ceilings, exposed wood beams, fireplace with wood burning insert, skylights, and ceiling fan. There are three generous size bedrooms with one being on the main level, playroom and/or ideal home office space, two full updated baths, hardwood floors throughout, all newer mechanicals which include the furnace, windows, hot water heater, roof, and central air conditioning. There is a one car garage with loft area offering ample storage. Oversized deck overlooking a fenced in rear yard. Meticulously manicured outdoor landscaping with ornate perennials galore! Blue stone walkway, front steps, and patio with fire pit for all leisure outdoor activities nestled on a level lot. This home is truly a turn key home and one that should not be missed! Directions: Huntington Rd To Highland Ave To Wainwright.